My vote for clematis of the year: ‘Guernsey Cream’! So, it’s quite early in the season, but I am already declaring the clematis ‘Guernsey Cream’ as the clematis, the flowering vine, and perhaps the perennial of the year for zone 4. Look at it and this is May 4th! Now, of course, given the year, this would probably be blooming closer to the end of May, beginning of June typically, but wow, is it a pick-me-up climbing its trellis-like structure on the Garden Drama garage, near the back pond. Clematis ‘Guernsey Cream’. The newly opened flowers have a hint of green to them, picked up in this Adirondack chair. As with all clematis, cool roots and a sunny exposure are needed. They also seem to go-to-town with lots of good organic matter worked into their planting hole, and even side-dressed with compost every spring. 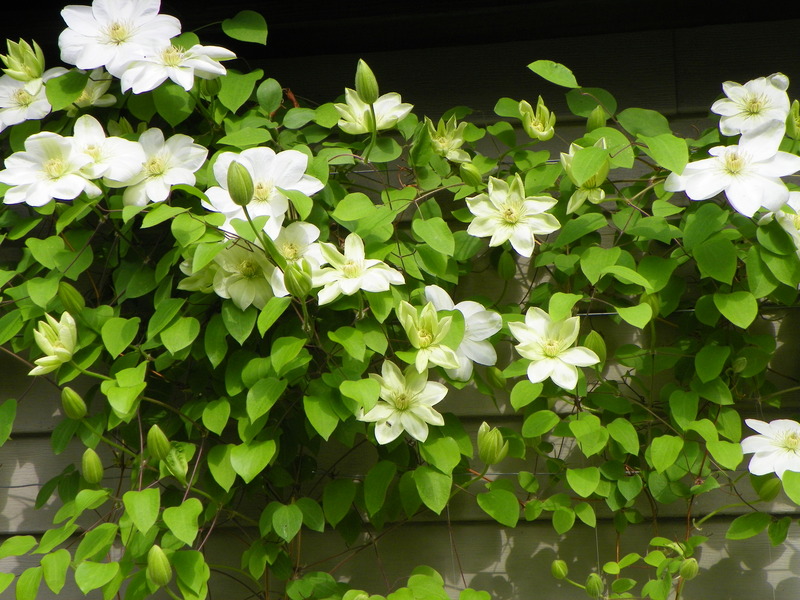 ‘Guernsey Cream’ is in the clematis pruning group 2, meaning that it is a large-flowered, repeat bloomer and if you prune back the vines after blooming, you will likely get a second wave of blooms later in the summer. That said, they also bloom on new wood and I will attest that I have blooms on new wood. 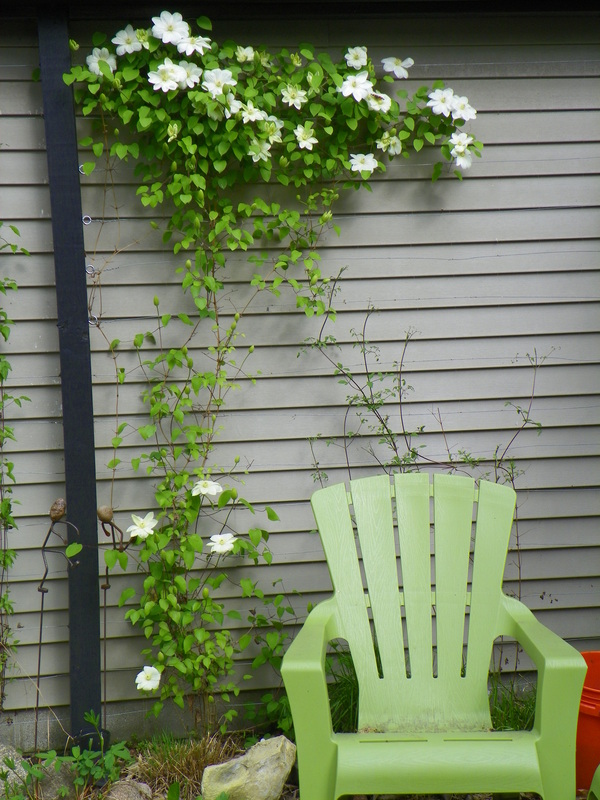 Overall, clematis have individual pruning schedules to follow, so research your variety. But most of all, enjoy. White is magic in the garden and you can never go wrong incorporating a lot of it into your garden.